Apple's iWork productivity suite provides some pretty amazing templates and themes to choose from when creating documents, spreadsheets and slide decks. Not only are they beautiful, but they are highly customizable. As beautiful as they are, however, they aren't designed specifically for your needs all the time. In many cases, you want something that reflects your business, your brand and your personality. Sure, you can customize an existing template or theme, but wouldn't it be great to have a predefined template or theme designed just for you? Something that you can use all the time as a basis for your iWork documents? Believe it or not, creating your very own templates and themes is really easy to do, and can save you a huge amount of time. 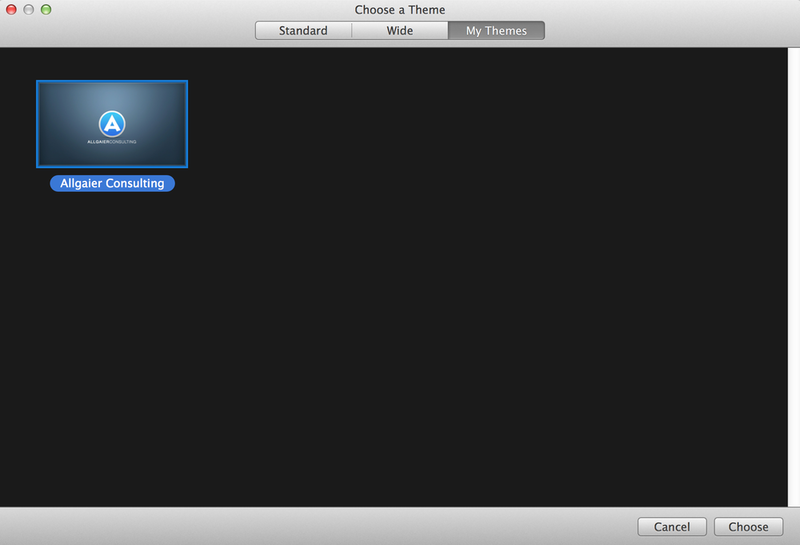 In this example, we will create a new Keynote theme. While the following instructions are specific to Keynote, the same principles apply to Numbers and Pages as well. From here, we can add and remove slides, as well as add various background elements to customize the slides to your need. You may want to add a nice background or even a small company logo in the lower corner of the screen for content slides while maybe adding a larger version of your logo on the title slide. Let your creative juices run wild! When you're done crating your master slide, click the "Done" button. Here, you will be prompted to either "Save..." your template file or "Add to Theme Chooser". In this case, we want to add to our theme chooser. Once you have saved your new template to your theme chooser, you are ready to use it! 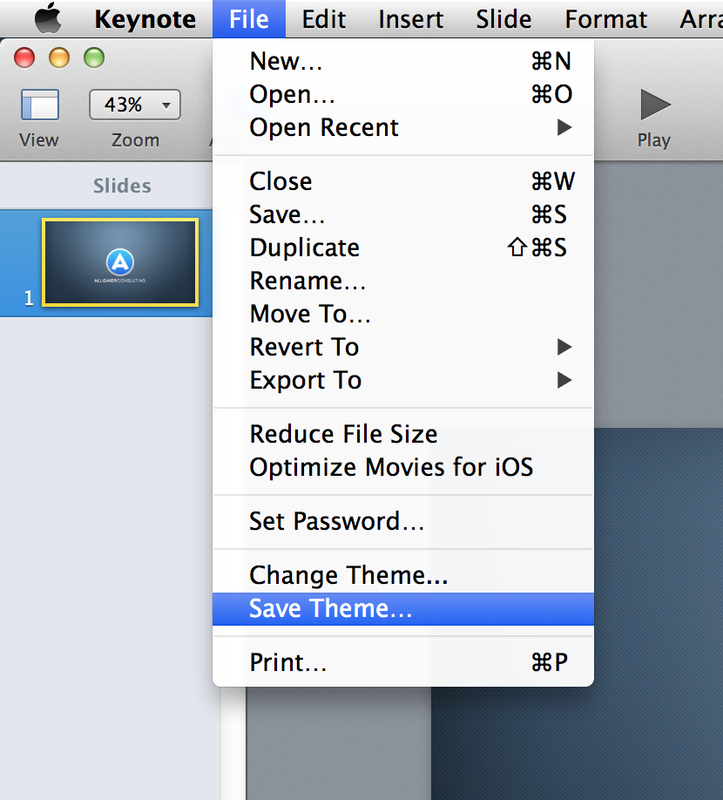 The next time you create a new Keynote file, you will be prompted to choose a theme from the theme chooser. Notice the right-most tab ("My Themes"). This is where you will find your very own Keynote templates! As I mentioned before, this concept also applies to Pages and Numbers files (although they are called "templates" instead of "themes"). Once you have created your base template file, you will go to File | Save as Template... to save to each respective template chooser. Posted on March 27, 2015 by Kevin Allgaier and filed under Design, How To, Mac.